Lloyd Goradesky is a public artist who uses the power of art to bring awareness to our natural surroundings. 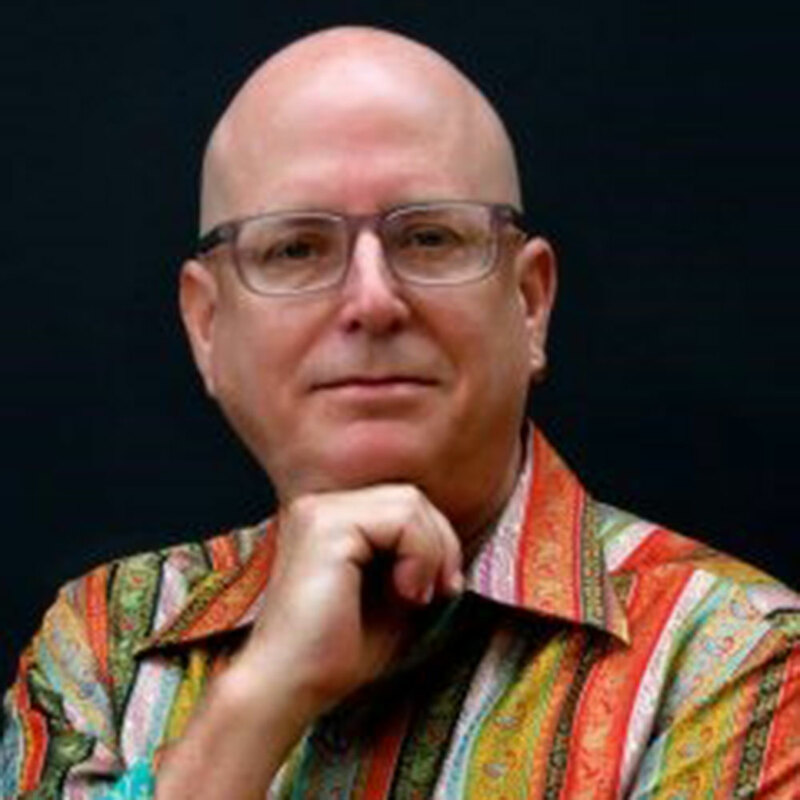 His work extends from multi-media designs and complex photographic creations to architectural and innovative glass design. His Gator in the Bay, a floating alligator the size of a football field, attracted a worldwide audience and extensive media coverage at its debut in Art Basel, Miami. 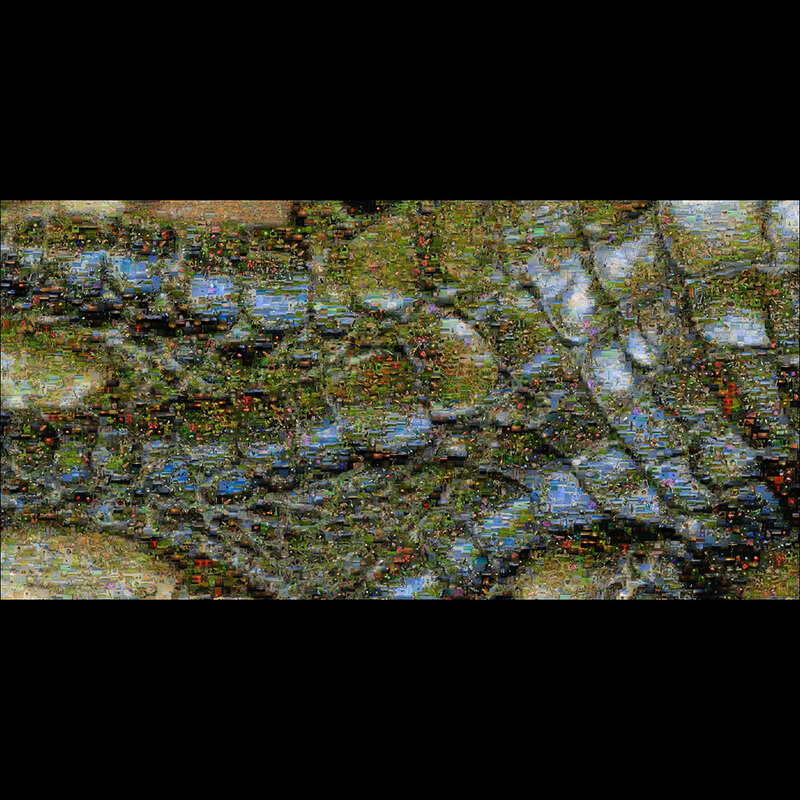 The alligator body is made of 104 individual floating art tiles, each one displaying over 3,000 unique photographs of the Everglades captured by Goradesky. 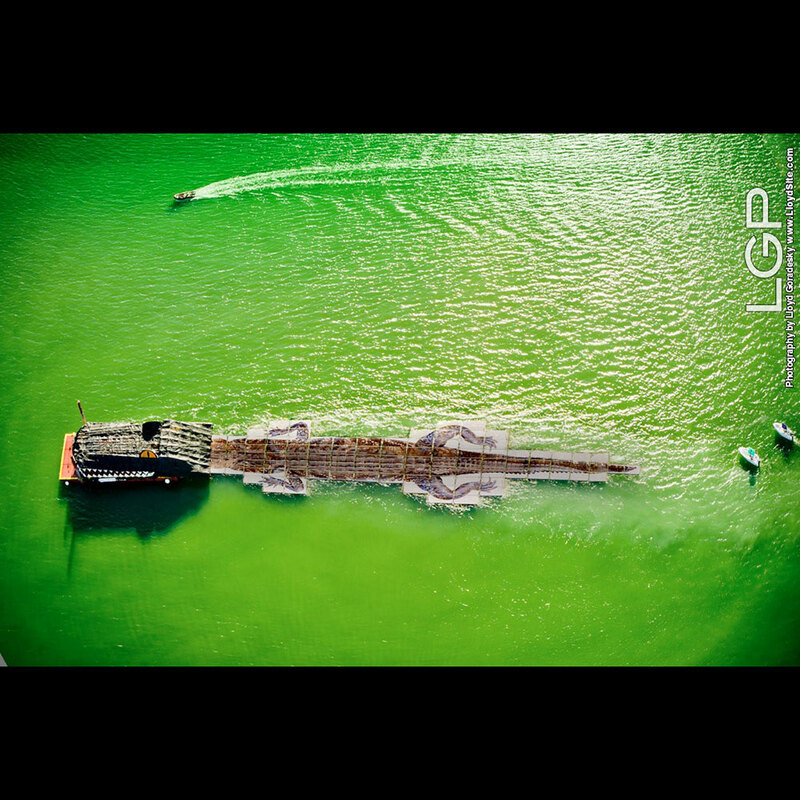 The Gator in the Bay is the world’s largest photomosaic, created with over 380,000 images; each the size of a postage stamp. Goradesky’s creations have been compared to Christo and Jean-Claude and his art is a constant attempt to encourage others by showing the beauty of nature and helping to save our planet. 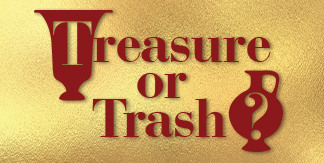 He works with the Innovative Public Art Group to create iconic, landmark artworks that enrich the public environment. 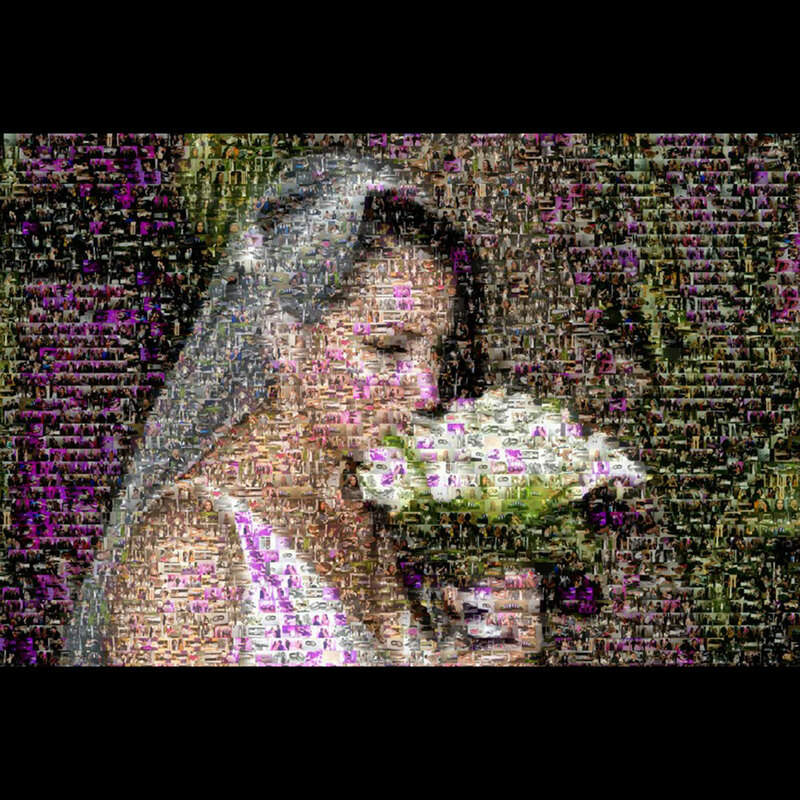 The wedding collage by Goradesky uses 2,800 photographs of the event, each converted into a ‘dot of color’ to create a palette which is used to ‘paint’ the primary image. 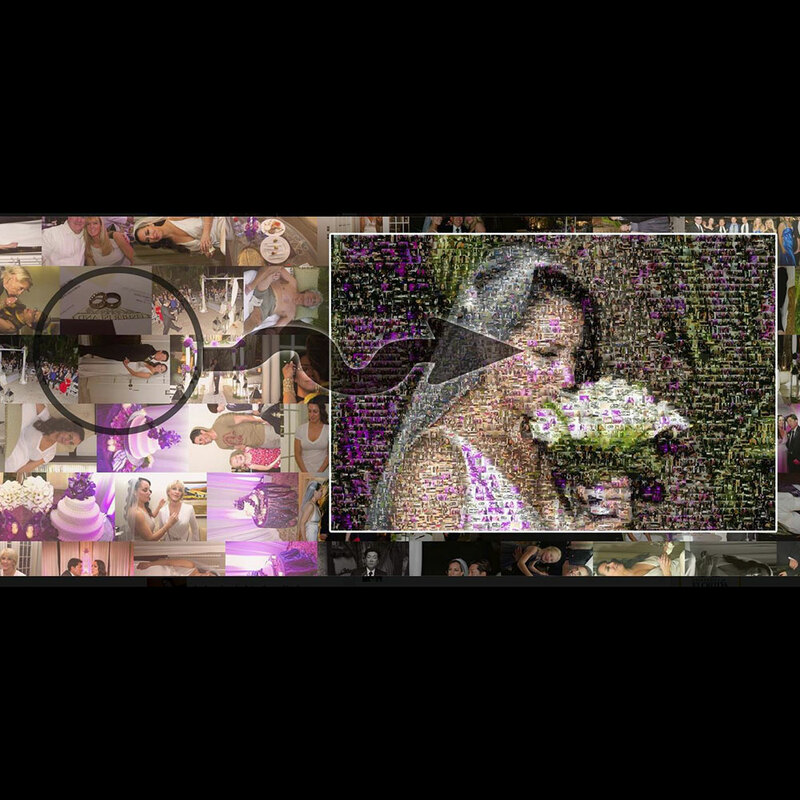 When seen from a distance the 24 by 18 inch image depicts a bride smelling her bouquet. Viewed up close, it is a fun way to see the individual photos of the event rather than a conventional leather-bound album.